1. These are the rules for the competitions conducted by the Australian Accordion Teachers Association Incorporated and shall be known as "The Australian Accordion Teachers Association Incorporated Competition Rules." "Amateur" means any person being a member of the Association, whose earnings from musical activities does not exceed the sum decided upon by resolution at an annual general meeting during a Contest Year. "Semi-professional" means any person being a member of the Association, whose earnings from musical activities does not exceed the sum decided upon by resolution at an annual general meeting during a Contest Year. "Contest Year" means that period of time starting at the 20th day of June in one year and running to the 19th day of June in the next year. "Orchestra" means a group of not less than seven performers, including a minimum percentage of accordions as specified in accordance with Rule 4 hereof. "Accordion" means an acoustic accordion without using amplification or electronic attachment. "Australian International Accordion Championships and Festival" (hereinafter referred to as the "AATA Competitions") means that competition organised and conducted by the Association for duly qualified competitors being financial members of the Association. "AATA Competitions Secretary" means that person appointed by the Australian Accordion Association Incorporated Committee for that purpose. 3. 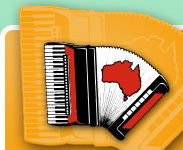 The AATA Competitions conducted by the Australian Accordion Teachers Association Incorporated shall be open only to financial members of the Association, whose names are entered in the National Register. These members must be resident in Australia unless dispensation is authorised by the Committee. This dispensation should not apply to Australian Championship Classes. 4. The AATA Competitions shall be divided into the categories outlined in clause 5 hereinafter, and shall be further divided into such classes as the Committee shall from time to time decide, PROVIDED THAT by the 1st day of December prior to a projected AATA Competitions date the Committee must publish a full list of the classes available and that shall be the classes for that Contest Year. 5. INTERNATIONAL CHAMPIONSHIP Championship classes which are not limited to Australian resident contestants. The contestants shall be of the age stated or under that age on the 19th day of June of the Contest Year. AUSTRALIAN CHAMPIONSHIP Classes to which the Australian Accordion Teachers Championship titles apply and which are based on age. The contestants shall be of the age stated or under that age on the 19th day of June of the Contest Year. STANDARD Classes regulated by the age and playing experience. QUALIFIED Classes regulated by the contestants actual age as at 19th June of the Contest Year and/or by specific styles of music and presentation. FESTIVAL Performances that are not judged. 6. (a) A contestant may only enter the same piece of music once at each AATA Competitions. (b) Contestants who have been placed first or second in a Australian Championship Solo Class in the previous year are not eligible to enter Standard Solo Classes. A Duet pair who have been placed first or second in Championship Duet the previous year are not eligible to enter a Standard Duet Class. (c) A contestant may not in the same year enter a Australian Championship Solo Class and a Standard Solo Class. A Duet Pair may not in the same year enter a Championship Duet Class and a Standard Duet Class. (d) Contestants may enter Qualified classes as well as Championship or Standard Classes in any given year. (i) Duet or ensemble classes which may be entered more than once provided it is with different partners. (ii) Orchestral classes, where conductors may enter more than one orchestra provided each orchestra in comprised of totally different members. 7. Where a section is restricted by age, the date of birth shall be stated on the entry form and verified by the Treasurer. To enter a Class a contestant shall be of the age stated or under that age on the 19th day of June of the Contest Year. 8. Soloists placed first in some classes specified in the Solo Class Schedule of the Prospectus, may not enter the same or lower age class in any subsequent contest . 9. Except if otherwise specified, competitors entering sections requiring an own choice piece, must supply to the Competitions Official on the competitions day, a copy of their own choice piece music, with all coupler and expression marks, cuts and omissions clearly marked. 10. Entries are to be made on the official entry form and must reach the AATA Competitions Secretary or other designated person on or before the required date, accompanied by the appropriate fee. 11. (a) All entry forms, fees, correspondence to be sent to the AATA Competitions Secretary or other designated person. (b) The AATA Committee reserves the right to refuse any entry. 12. Any question relating to the interpretation of any rule of the association shall be decided by the Committee whose decision shall be final. 13. A duet shall consist of two performers and if two accordions then both must play bass. 14. In trio and ensemble classes bass to be played at leaders discretion by a bass accordion and/or accordion bass. One amplified instrument permitted. 15. The categories and rules for orchestras shall be as set in accordance with clause 4 hereof PROVIDED THAT orchestras who win the Australian Accordion Orchestra Championship Class twice consecutively must stand down for one year before recompeting. 16. The Committee shall have the general power to conduct the administration of competitions. 17. The Committee shall form a subcommittee to recommend, persons suitable to act as adjudicators at the AATA Competitions, and the Committee, in selecting adjudicators for the AATA Competitions shall choose from this list, persons so recommended. These adjudicators to be accordionists, or accordion teachers of note, or musicians of suitable stature adjudicating in conjunction with an accordionist adjudicator as described herein. 18. The order in which the competitors in each section of the Championship classes shall play at the competitions, shall be decided by either program order or by lot at the discretion of the official appointed for that purpose, before the competition in that section. The order in which the competitors in all other categories shall play shall be decided by the Committee. 19. Contestants must report where directed, prior to the notified report time. The committee will have the right to decide the merits of a case of unavoidable late arrival of any contestant. 20. No competitor or performer may rehearse or practice within sound range of any competition auditorium or adjudicators area on any day of the contest. 21. Entrants in any section failing to take part in the contest or failing to comply with the rules shall be automatically disqualified, and their entry fees forfeit. 22. Timing of the pieces for each candidate is actual playing time only, excluding breaks between movements and pieces. Any competitor over running the playing time may be stopped; such stoppage will have no effect on the marking by the adjudicators EXCEPT for those classes in this Prospectus where the rules include a penalty for time infringement. 23. The adjudicators decision in all matters relating to judging will be final. 24. The names of the winning competitors will be announced as soon as convenient. 25. Audio and video recorders will be prohibited from the premises where contests are held under the auspices of the Australian Accordion Teachers Association Incorporated, except with the express permission of the Committee. Publication or broadcast of any performance is prohibited. 26. Only music stands supplied by the Australian Accordion Teachers Association Incorporated are to be used in the solo and duet sections. 27. Amplification and electronic attachments are permitted only as specified in accordance with rule 4 hereof. 28. Protests connected with the contests must be made in writing, accompanied by such fee as is determined by the Committee, to a member of the Australian Accordion Teachers Association Incorporated Committee within one hour of the results being given. The fee is forfeited should the protest not be upheld by the committee, or a protest committee appointed for the purpose, whose decision is final. 29. Music shall be played and adjudicated as written, except in those classes where the provision of music for the adjudicators is not a requirement. 30. A minimum tempo marking may be put on test music. 31. Adjudicators will be required to allot marks, and may incorporate constructive comments. 32. The adjudicators may award other than first place, if, in their opinion first place is not warranted. 33. All accordion cases and stands must be marked with the competitors and/or owners names. 34. There shall be no restriction as to the make of accordion used by the competitors. 35. Trophies offered for competition annually may be held until the next contest. It is incumbent upon the holder to ensure the return of trophies 21 days before that date. Holders of trophies may arrange at their own cost for their initials and surname, and the year of their holding to be engraved upon the trophy. 36. A music selection committee of at least two persons, who shall be accordion players or teachers of note, shall be appointed annually by the Association Committee, and shall determine the test music to be played at any competition. 37. Submission on an entry form shall be deemed as full and complete acceptance and understanding of these competition rules. 38. No advertising shall be permitted unless approved in advance by the AATA Executive. 39. These competition rules shall only be altered, added to or rescinded by resolution at the annual general meeting or at any special meeting called for the purpose, provided that notice of any such alterations, addition or rescission shall have circulated to members at least twenty-eight (28) days prior to such meeting. Any proposed alteration, addition, or rescission of the rules may be amended at the meeting. A two-thirds majority of those present and entitled to vote shall be necessary to carry the motion. 40. These rules and regulations known as the Australian Accordion Teachers Association Incorporated Competition Rules, shall be placed as an appendix to the Prospectus which the Committee must publish, which contains a full list of classes available and these rules and regulations shall be a part of that document. 41. The AATA and all AATA Officials hereby give notice that they accept no responsibility for any loss or injury caused to or incurred by any person in transit to/from or attending any event of the AATA and that any responsibility shall be with the relevant venue provider. If any participant is under eighteen years of age, the participants parents or guardian, have read and understood this clause and the conditions under which the invitation/offer for the AATA event attendance is made and hereby agree that they will abide by these conditions. Furthermore, the AATA and all AATA Officials take NO RESPONSIBILITY for insuring individuals and member of any musical groups against loss of property, personal injury and/or damage arising out of entry or attendance at any AATA concert, competition, festival or other event. The AATA requires all participants in any type of AATA event to take responsibility for insuring those same participants against personal injury or loss arising out of participating in any AATA event. Nothing in the above is intended to breach any legislation. The official AATA policy is to encourage and support sponsorship assistance of the event by accordion retailers, repairers and all accordion related businesses in order to further improve the quality and reach of the Australian International Accordion Championships and Festival. The businesses that do sponsor and support the AATA will be listed herein and acknowledged appropriately. We hope that where possible, you will support these businesses that have supported the AATA and therefore assist the advancement of the accordion in Australia. In that way, they will hopefully be encouraged to continue their sponsorship of the accordion.